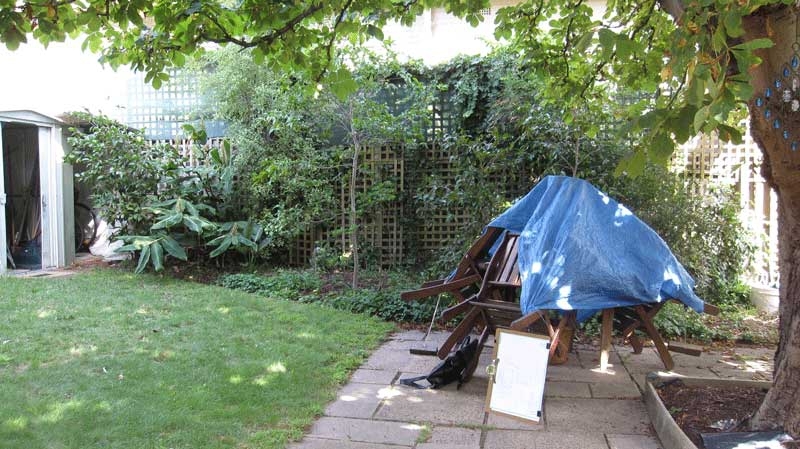 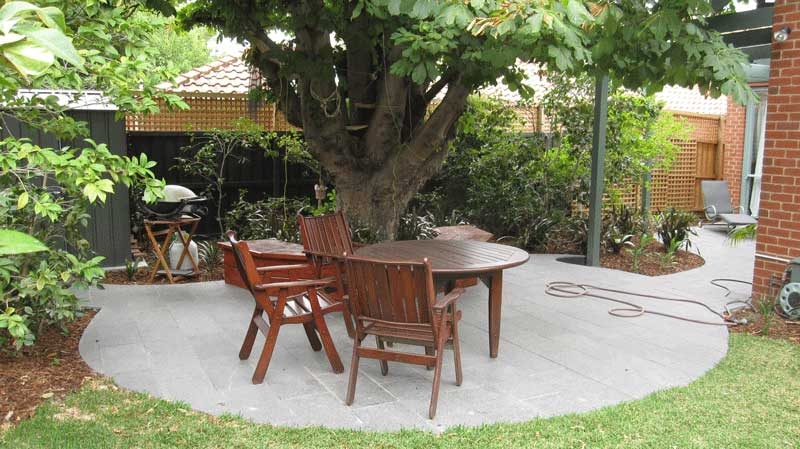 A renovated Kooyong garden beneath the shade of a large horse chestnut tree with a new paved courtyard. 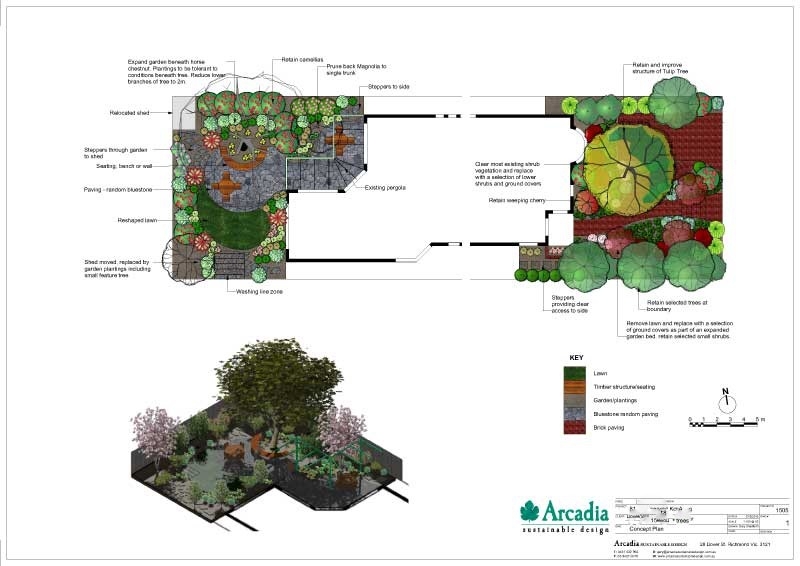 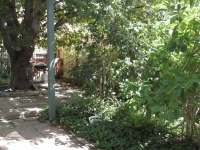 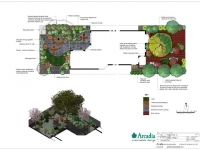 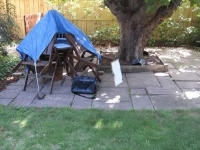 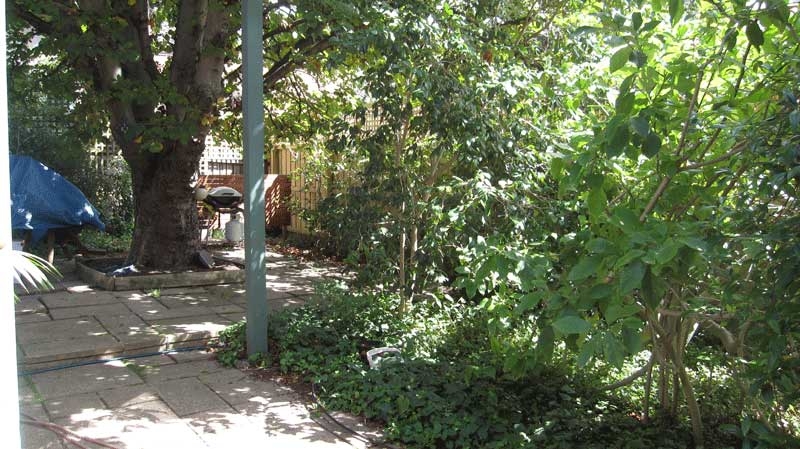 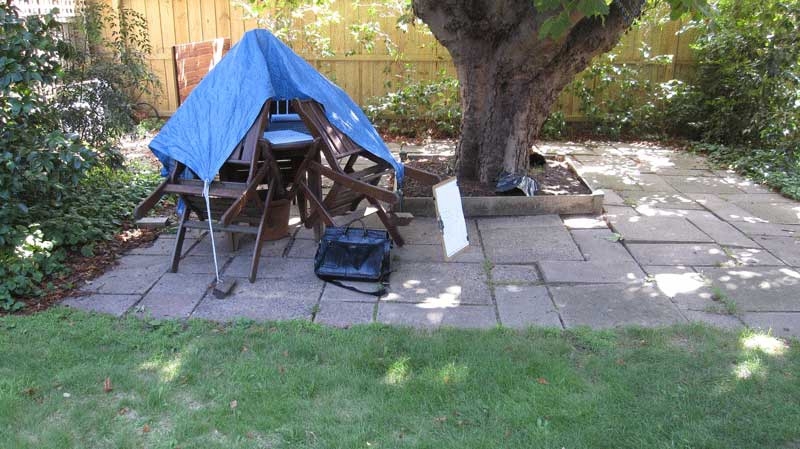 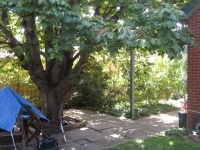 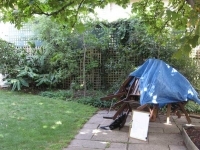 The large tree was creating an excessively shady garden that had become scruffy and overgrown. 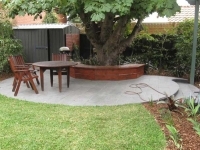 The old concrete pavers had lifted and there wasn’t a adequate area to comfortably place a table setting. 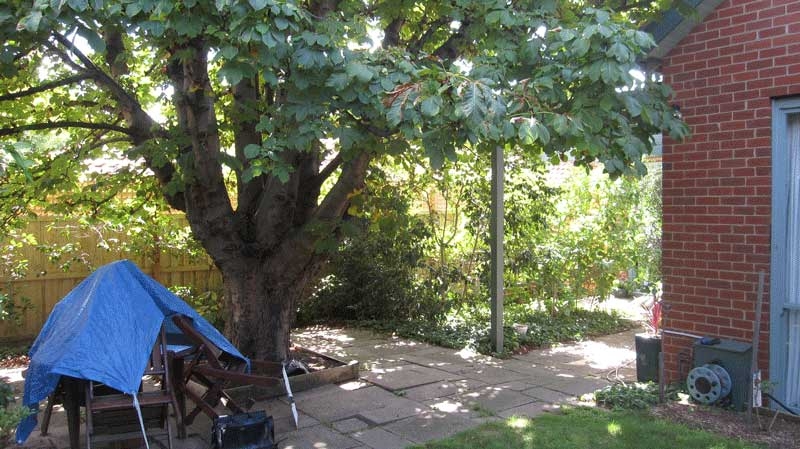 The magnificent horse chestnut tree had its canopy lifted to highlight its features and allow more light and space beneath it. 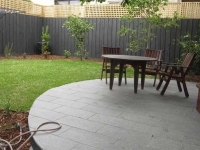 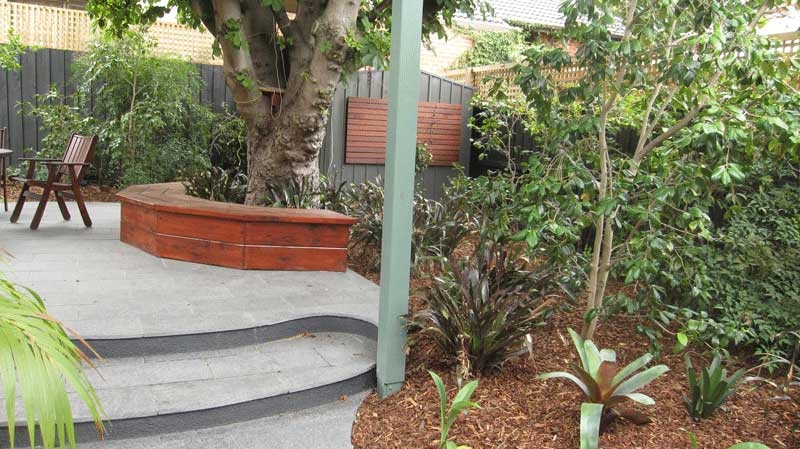 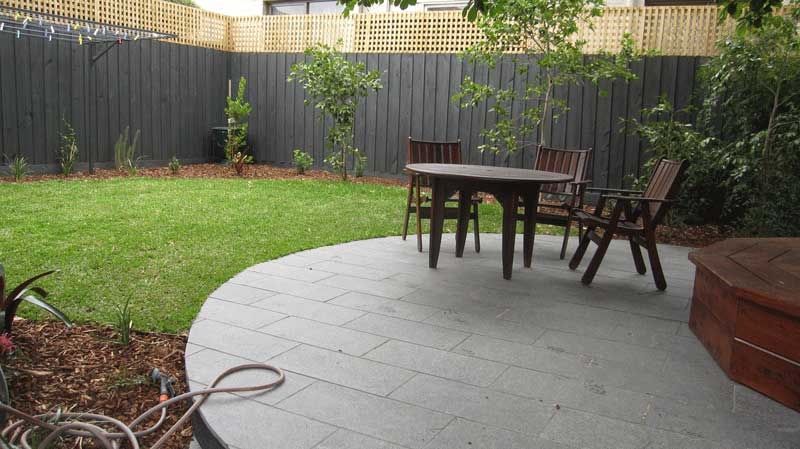 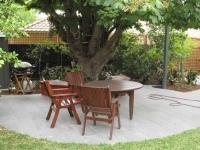 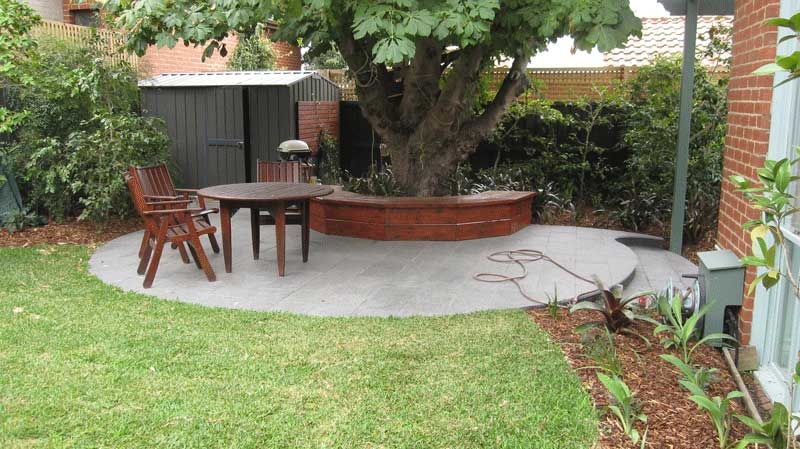 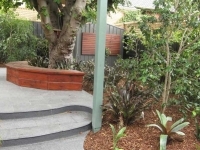 The old pavers were replaced with an expanded bluestone gathering area around a built in timber seat around the tree.